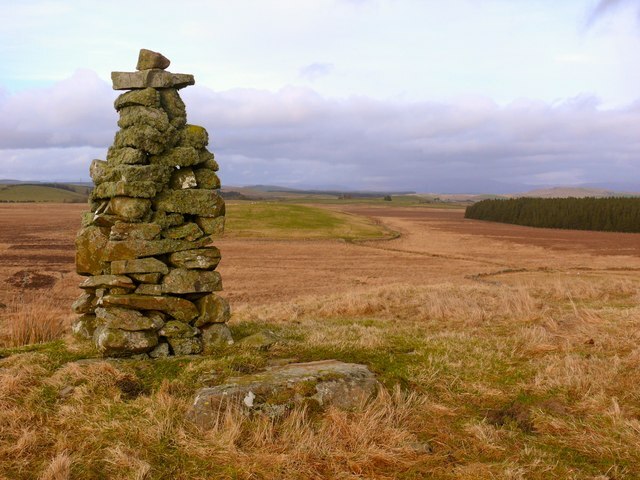 Picture of this cairn which sits in the south of Dirnean Moss. The cairn is about eight feet high and stands on a hillock at 113 metres. The view past the cairn is towards White Hill which is just to the right of the cairn. Right of picture is the edge of large unnamed forest which is at the side of Dernaglar Hill. The Galloway Hills are on the far horizon.